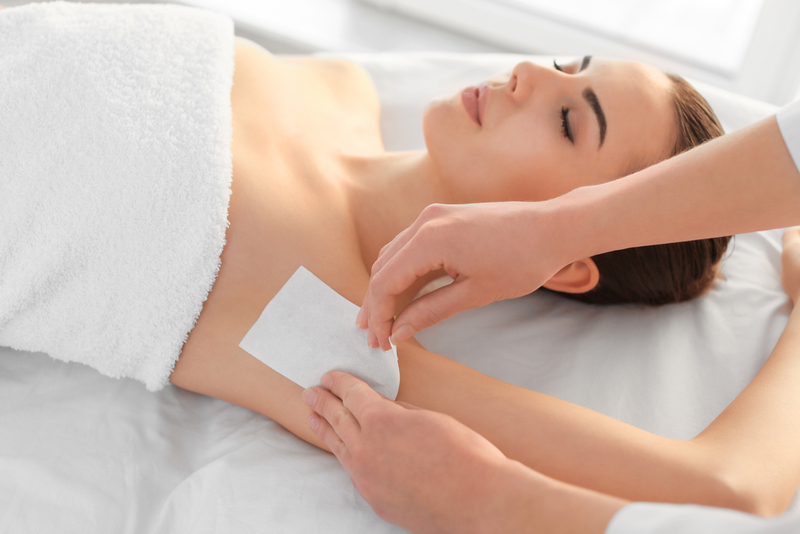 While there are more advanced methods for hair removal, waxing is still a popular way to get rid of unwanted hair. 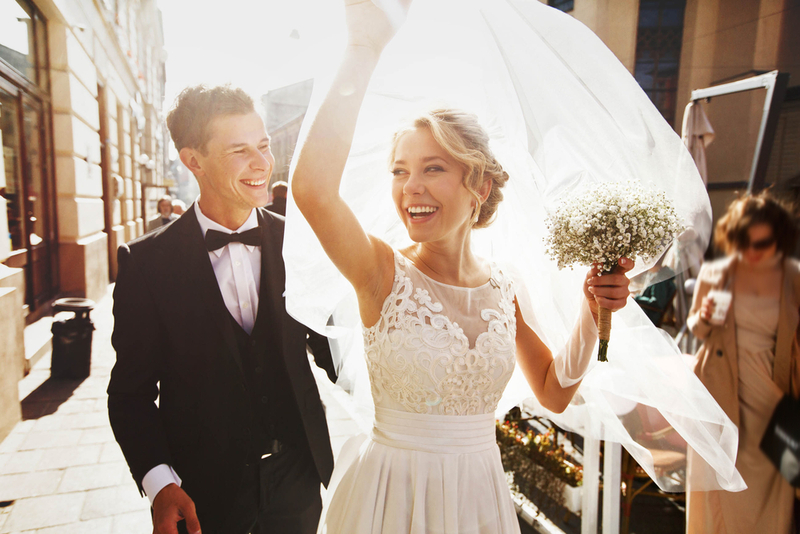 Yes, lasers and electrolysis can provide long-lasting results, but waxing, a reliable and low-cost procedure, is a favorite among men and women. However, waxing can potentially lead to ingrown hairs, which are hairs that grow downwards and penetrate back into the skin. This problem could lead to discomfort and even hair follicle infection. And while there are ways you can correct the issue if it materializes, it is certainly true that an ounce of prevention is worth a pound of curse. So, read on to learn how to prevent ingrown hairs when waxing — and get an answer to the question: Do ingrown hairs go away? Why is cleaning the area to be waxed so important? You can definitely prevent ingrown hair when waxing if you go about it the right way. First things first, you need to ensure that your skin is clean before you apply the wax, and this means using soap and water. The reason this step is critical is that clean skin is less likely to have anything stick to your skin. Does the wax temperature matter? You need to get the wax temperature to the right level since extremes of hot and cold could present problems. On the one hand, if it’s excessively hot, you could end up with bleeding and the wax could stick to the skin. On the other hand, if it’s too cold, the wax won’t properly grab the hair that you want to remove. What role do direction and speed play? If you want to prevent ingrown hair when waxing, you need to be mindful about not only the direction, but also the speed. So, you’ll want to pull the strip parallel to your skin — and you’ll want to do so very quickly. The goal will be to achieve a clean pull to prevent bleeding, and remember that an improper pull angle can tear your skin. As you pull, be sure to stretch your skin below the pull point or else your skin will roll and might even tear. Do the types of materials you use matter? Don’t get caught up in materials required for waxing. Waxes and cloths are pretty much the same, so you don’t have to get a specific brand. Can waxing cure ingrown hairs or bumps? The simple answer is no — waxing will not rid you of ingrown hairs or bumps. After you wax, your ingrown hair will still remain as is. This is why it’s so important to use the right technique when waxing. So, do ingrown hairs go away at all? In any situation? The simple answer is yes. But there’s a catch. Ingrown hairs will eventually correct themselves on their own, but this could take some time and you will have to live with discomfort during this time. There are products available that can help you to fix the problem if you don’t want to wait. Which parts of the body can be waxed? In terms of which areas of your body you can wax, the answer is that waxing is safe for all parts of your body. Popular waxing areas include the arms, legs, eyebrow, underarms, chest, and bikini line. 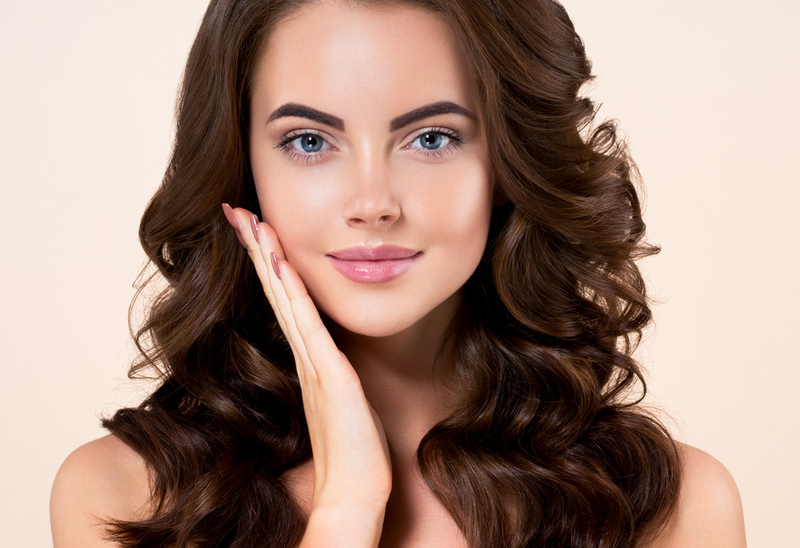 If you’re looking to remove hair while minimizing or eliminating pain, then you can consider threading, a hair removal procedure that was developed in the Middle East. Threading works something like this: You pull a cotton thread along the hair you want to get rid of. As you pull the cotton thread in a twisting motion, you will essentially capture the hair in a type of lasso. What this will do is lift the unwanted hairs from their follicles. While you will likely feel some discomfort, many who’ve undergone threading and waxing say that waxing hurts more. Even so, waxing is more popular, and if you get the technique right, you’ll end up with less redness than if your technique is poor. After you wax, it will take between three and four weeks to have enough hair to actually grab onto. Should you wax at home or get it done by a professional? While it is possible to wax effectively and safely at home, you’re probably better off getting the procedure done by a professional. 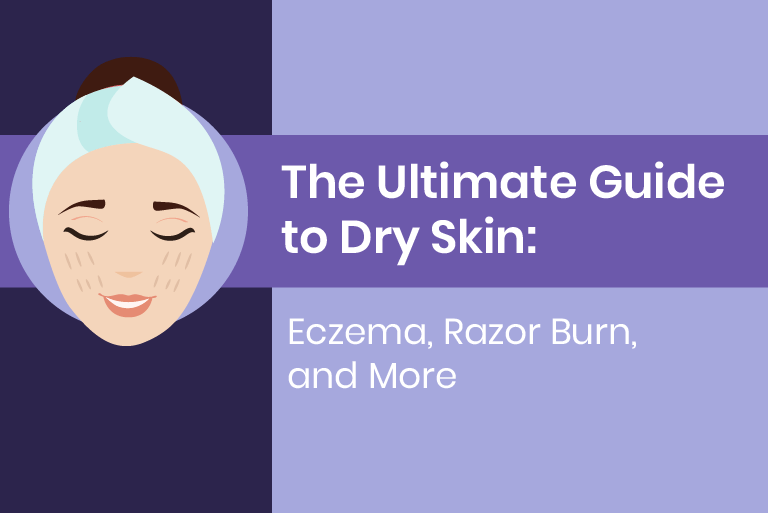 Doing it at home may cause skin problems that you can avoid if getting it done professionally. What are epilators — and can you use them for hair removal? An epilator is an electrical unit that you can use to get rid of hair mechanically by grabbing unwanted hairs in a batch and extracting them. If you use this device, you will all but throw out the benefit of using wax in the first place since the epilator will damage your skin. And what this will lead to is an increased risk of getting ingrown hairs due to inflammation of your hair follicles. Waxing is definitely an effective way of removing hair, but you need to go about it the right way to get the results you need — minus the ingrown hairs. Prevention is indeed better — and cheaper — than a pound of cure. So, do ingrown hairs go away if, after your best efforts, they set in after waxing? Yes, they’ll eventually go away. But you can more likely than not avoid such problems in the first place if you wax properly. When a rash from razor burn shows up on your face, legs, underarms or bikini area, it can leave you feeling uncomfortable and can be a drain on your self-confidence. Razor burns result in pain, itchiness, and visible redness that can make it difficult for you to go about your daily activities. In addition, the visible signs of razor burn can affect self esteem. However, the good news is that there are a few helpful techniques that can quickly ease your frustrations. For a boost in your self-esteem try some of these simple razor burn fixes which can make you feel better in no time. When it comes to razor burn, not only is proper treatment key, but so is prevention. One of the best ways to prevent razor burn is to properly moisturize the hair and skin before and after shaving. Soften the hair by applying warm water. An easy way to ensure this happens is to shave right after a shower. The warm water and steam can help to soften the hair, leaving it much easier to shave with a razor blade. Skin that is moist and supple will allow for a smooth, clean shave. Routinely apply products that were created specifically for shaving. These should include specialty shaving gels, oils, or other creams that help razors glide easily over the skin. 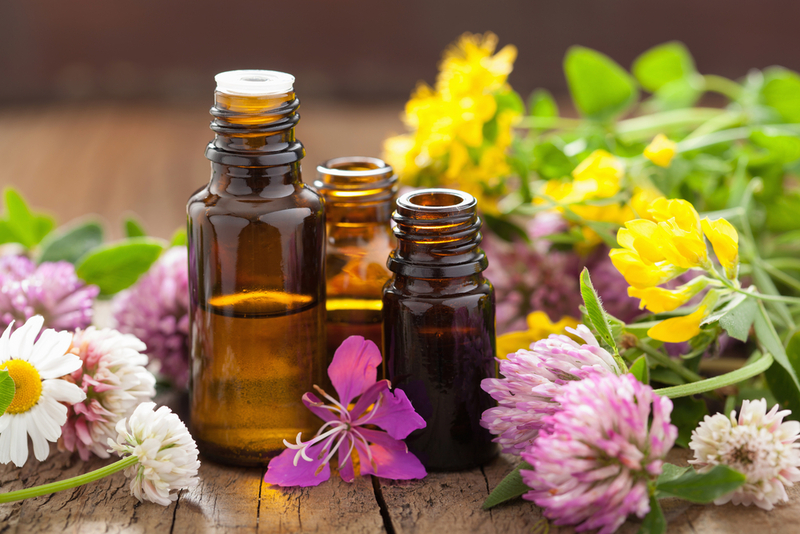 You should look for ingredients that have anti-inflammatory essential oils including lavender or chamomile. Remember to rinse the skin with cool water immediately following shaving. After shaving, look for products that treat razor burns and moisturize the skin. 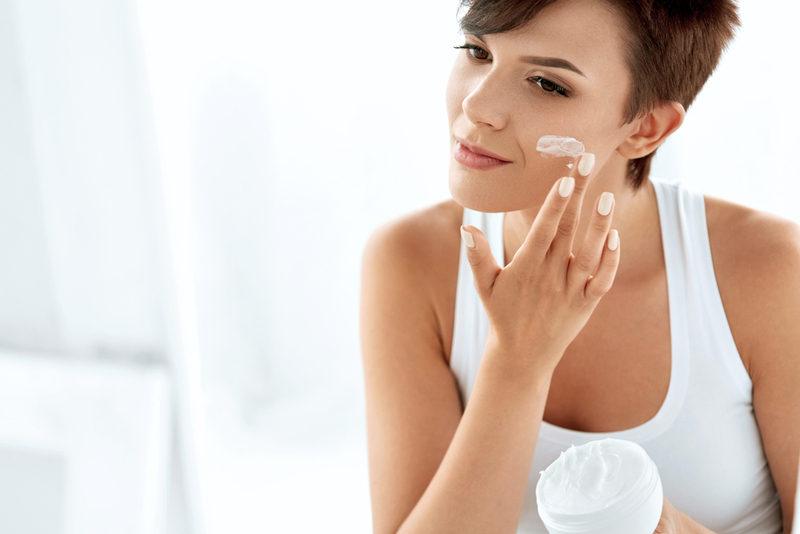 Apply a follow-up moisturizer to skin, which can replenish any moisture that has been lost due to the shaving process. Choose a moisturizer designed to soothe the skin and prevent razor burn, giving you the opportunity to look and feel your very best. There are many herbal treatment options and home remedies that can quickly soothe razor burn, leaving the skin feeling refreshed and less irritated. For instance, aloe vera is proven to have natural healing properties. 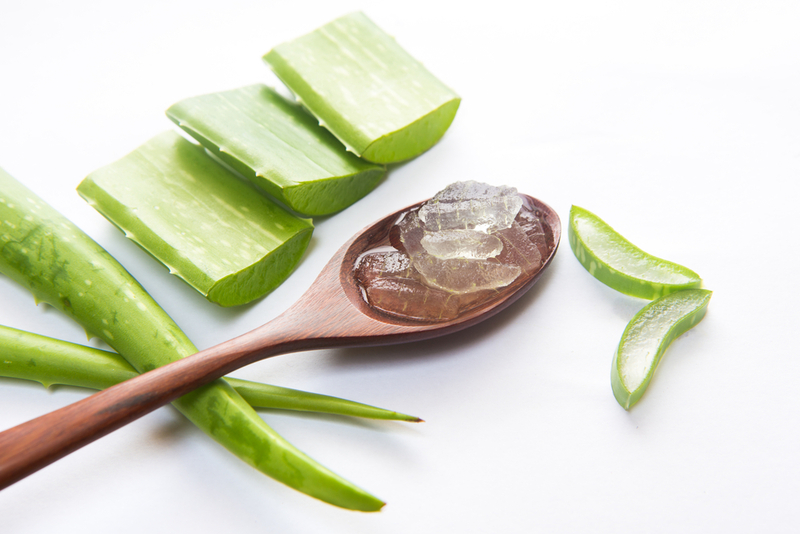 The gel from a freshly cut aloe vera plant can help to ease razor burn by reducing redness and itching, as well as protecting the skin against infection. Other natural remedies for razor burn include oatmeal, honey, cucumber, spearmint leaves, and avocado which can all be applied directly to razor burn to sooth irritation for noticeable relief. As cooling, moisturizing, and gentle remedies, these natural treatments can reduce the appearance of razor burn and quickly restore your self-confidence. Vitamin E oil may also be applied directly to razor burn to help with the healing process. Keep in mind that while these treatments can help soothe, they may not be effective in lasting relief. 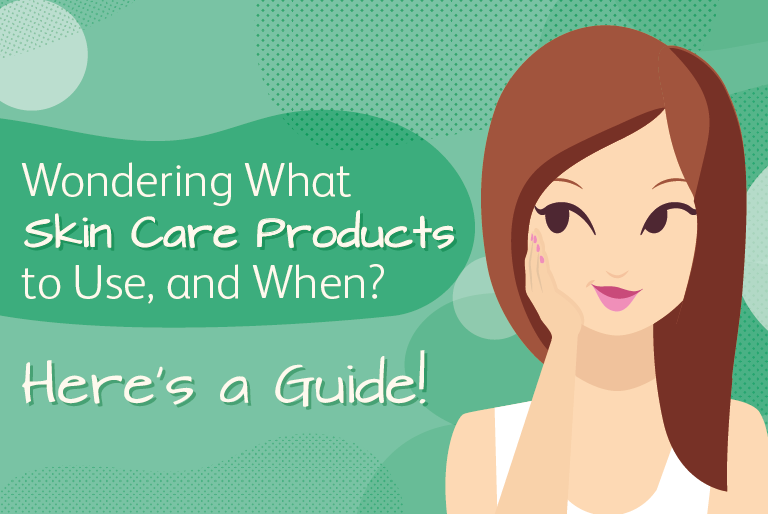 So remember to keep an eye out for skin care products that help you! When it comes to improving how you look and feel, try any of these simple solutions to banish razor burn for good. Even the smallest steps can go a long way towards making you feel better. 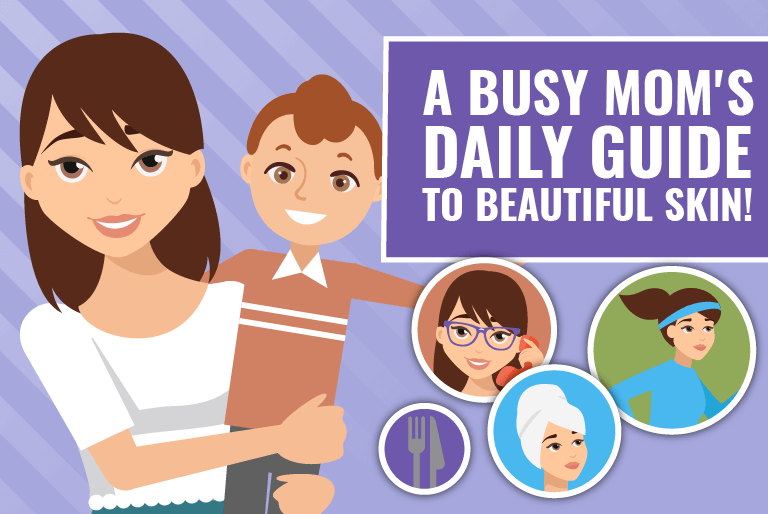 Such remedies can provide long-lasting results that will not only improve your skin’s appearance, but will contribute to your overall health and well-being. In the end, you will feel better about yourself knowing that you have taken the necessary steps to correct your razor burn and safeguard your delicate skin. Itchy armpits can be an aggravating and annoying problem. While not usually a serious medical condition, itchy armpits can still potentially prove disruptive to your normal day-to-day routine. Unless you shave your armpits or use underarm deodorant, you probably don’t pay much attention to them…until or unless you are overtaken by itchy armpits. Your armpits actually have many blood vessels, sweat glands, and lymph nodes. As a result of the blood vessels, your armpits rank as one of your body’s warmest areas, and the presence of sweat glands in that region can create the so-called perfect storm for various problems that can lead to itchy armpits.. Lack of Cleanliness: It’s important that you’re diligent with your personal hygiene since a deficit on this front will make your underarms area a potential breeding ground for bacteria. And the bacteria will quickly multiply and lead to skin irritation that will ultimately result in itchy armpits. Candida: This sort of yeast infection is not as uncommon as you might think. In fact, it is rather common. However, a properly functioning immune system can usually deal with candida so that it doesn’t become a problem. But if your immune system is compromised, candida can lead to outbreaks on the skin such as rashes and other types of irritation. Ingrown Hair: If you like to shave your underarms, you might have already experienced ingrown hairs, which occur when hair, as a result of the shaving process, is cut in such a way that it bends downwards and burrow beneath the skin surface. If you have ingrown hairs, you will notice reddish pimple-looking bumps that can be very itchy. Deodorant: While these types of products can help to reduce unpleasant body odour, they can also lead to problems such as itchy armpits. 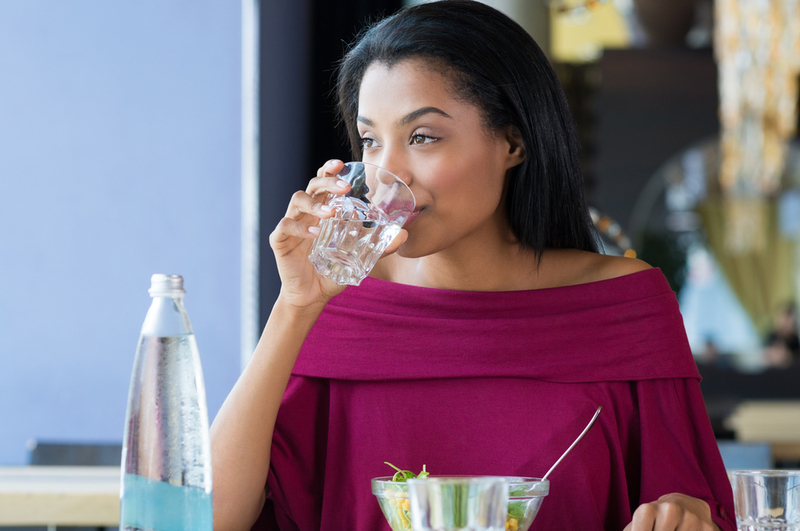 The reason for this is that they can clog up your sweat glands and lead to skin irritation. Swollen Lymph Nodes: It is possible for your lymph nodes to get enlarged if your body’s immune system is fighting against an infection. This can in turn lead to is skin irritation and itching. While there are many reasons you could have itchy armpits, there are fortunately some potential solutions that can help you to tame the itch. Practice Good Hygiene; Remember that the armpits region is ripe for skin irritation-related problems if personal hygiene is not rigorously practiced. So be sure to wash your armpits regularly with soap and water. Change Up Hair Removal Techniques: If shaving can lead to itchy armpits, then it goes without saying that you can eliminate at least one of the causes of this condition if you put away your razor. This doesn’t mean that you have to do away with shaving forever, of course. You just want to stop doing it until the symptoms go away. If you find that your skin gets irritated every time you shave or that you get ingrown hair itchy all the time, then you might want to consider other methods of hair removal to hopefully avoid itchy armpits. Waxing is a common alternative. Look for Products That Reduce Ingrown Hairs: You can also look for products that reduce the appearance of ingrown hairs. Skin care products that help reduce ingrown hairs can be the easiest way to fix a problem. 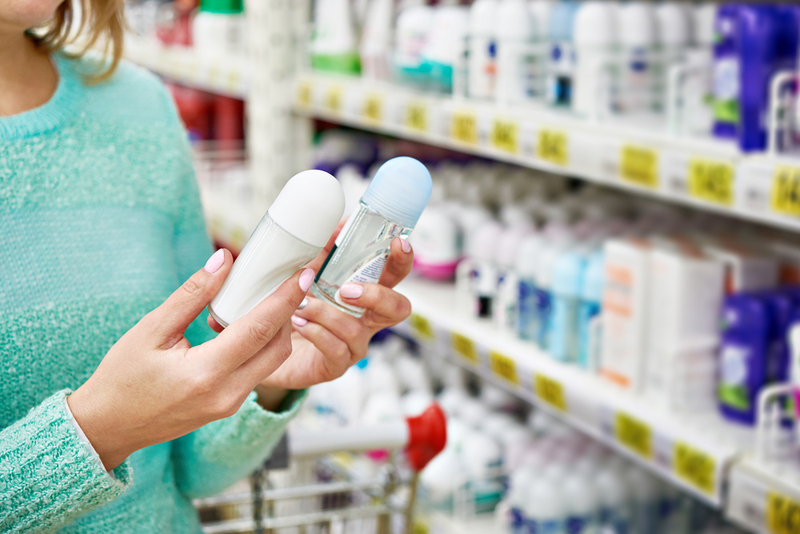 Switch Deodorant: If you have skin irritation or infection in your underarms, you should consider either going without deodorant or at least changing your brand to find one that is safer to use. As a rule of thumb, the roll-on varieties tend to be less irritating than are the spray-on varieties. Topical Treatments: Applying things like aloe vera, calamine lotion, or tree oil can help as can soaking in an epsom salt or oatmeal bath. Hot Compress: Using a hot compress on the itchy area can help to facilitate fluid drainage and reduce pus accumulation, which will leave you feeling much better. Itchy armpits are definitely not the sort of condition that anyone wants to contend with, but fortunately there are some ways that you can alleviate the symptoms and solve the problem. If you ever find yourself on the receiving end of the irritation that comes from itchy armpits, try out the various treatments above to get the relief that you need. Beauty products are a part of our everyday life, whether we’re using moisturizer in the shower, makeup as we get ready for the day, or cleansers to keep our look fresh and clean before we go to bed at night. However, not everyone takes the time to focus on whether or not the beauty products they use everyday are cruelty-free. Although we are committed to providing our customers with cruelty-free beauty products, animal testing is still a prevalent practice for other companies that must be stopped. 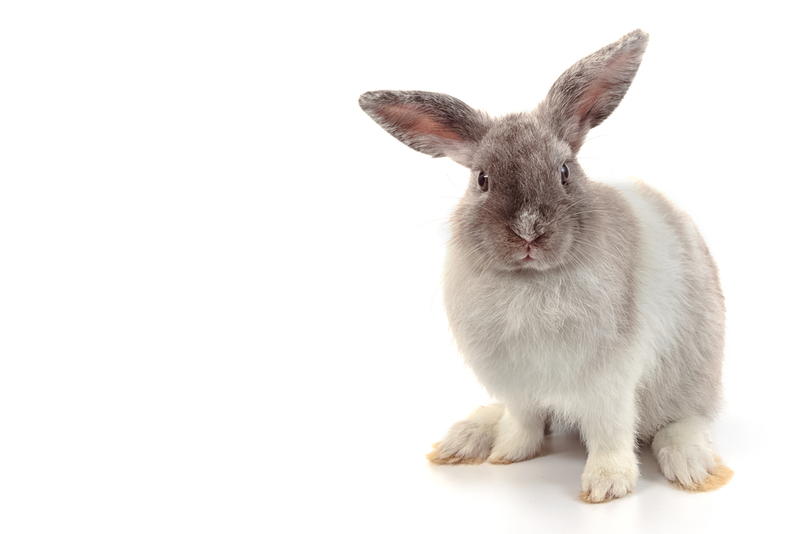 Today, we’re helping readers to understand the scope of this traumatic practice and what you can do to ensure your beauty product is cruelty-free. Unfortunately, animal testing is far from an extinct practice. The statistics say it all, as People for the Ethical Treatment of Animals (PETA) reports that upwards of 100 million animals–including mice, rats, frogs, dogs, cats, rabbits, birds, fish, and others–are killed in U.S. laboratories as they’re being used from things like biology lessons, medical training, experiments, and chemical, drug, food, and cosmetic testings. And that’s just one country. In China, animal testing is a requirement for the sales of all cosmetic products. A whopping 100,000 – 200,000 animals suffer and die from cosmetic testing around the world each year. There are many different types of tests performed on animals in connection with cosmetic products. Some of the more common and most cruel practices include products being tested for eye irritation, where chemicals are rubbed onto the shaved skin of animals or dripped into the eyes of restrained rabbits. These animals are not provided any pain relief, making it even more heartbreaking. Additionally, animals are commonly forced to swallow large amounts of a test chemical to determine how much must be consumed to cause death to help with product warning labels. Finally, animals are typically force-fed products for weeks or months at a time, as testers are looking for health signs that indicate long-term illness, such as cancer, or that lead to eventual birth defects in offspring. Sadly, at the end of these testing sessions, animals are almost always killed. Typically, this occurs via asphyxiation, neck-breaking, or decapitation. Again, in these instances, pain relief is not provided. Alarmingly, many animals used in U.S. labs are not protected under the Animal Welfare Act. This includes laboratory-bred rats and mice. 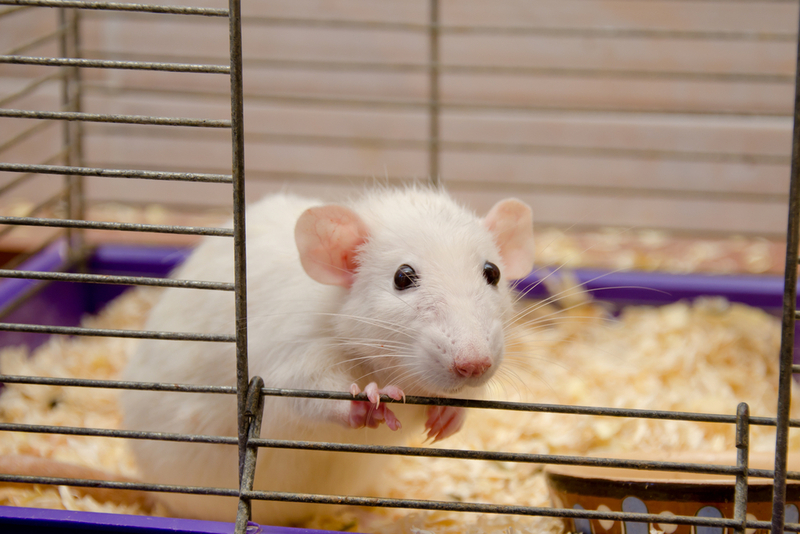 There are several laws and standards centering around animal testing that do help the movement towards a cruelty-free world, but these laws and organizations alone are not doing enough. First, there is the Animal Welfare Act (AWA), which addresses the standard of care that animals should receive at research facilities. However, this law is minimally effective as it excludes about 95 percent of animals tested upon (like rats, mice, birds, and reptiles). Labs have no obligation to report non-AWA protected animals. An organization that aims to help control the testing of animals is the United States Department of Agriculture (USDA). However, the organization only has 120 inspectors and is responsible for overseeing an excess of 12,000 facilities, all involved in research, breeding, and the exhibition of animals. Federally-owned facilities are not inspected by this organization. Besides providing beauty products that are cruelty-free, Tend Skin supports animals in the battle against all animal testing. Notably, we support the organization Angels in Distress. This group aims to rescue animals that are abused or in life-threatening situations. They are committed to providing rescued animals with the health care they need and to improving their quality of life, whether that means finding them a new home or releasing them safely back into the wild. A portion of our revenue is donated to this organization in the hopes of helping animals near and far. Clearly, this is a large-scale problem that requires an abundance of attention. Animals don’t deserve to be treated this way, which is why all of our beauty products are proudly cruelty-free. You’d probably be surprised to learn that companies you purchase items from or support may be testing their products on animals! If they don’t explicitly say they are cruelty-free, be sure to reach out to the brand to confirm. At Tend Skin, we look forward to a world in which every beauty product is cruelty free. Razor burns itch, hurt, and are a nuisance to everyone. Shaving is something we all have to do on a regular basis–men shave their faces, women their legs, armpits, and bikini areas–so razor burns and bumps are a common problem. You may find yourself wondering what in your home can be quickly soothe your irritation. Does aloe vera help razor burns? Can something cold in your fridge help the the inflammation of painful razor bumps? Razor Burns or Razor Bumps? May people do not know the difference between a burn and a bump, but there actually is a difference. Razor burn is kind of like skinning one’s knee; it is caused by the removal of surface skin cells, which leaves that raw irritation behind. Razor bumps are caused by ingrown hairs, which are usually caused by shaving close and with dull razors. Although they are different, they can be treated in similar ways. Is There a Right Way to Shave? Many people don’t know that there actually is a right way to shave. Experts suggest using a shaving gel on wet skin to keep the skin moisturized. Slow, even strokes with a razor that is regularly changed can keep those nasty blemishes from appearing. Use care if you have acne, scabs, skin tags, or other protrusions on your skin, so you can avoid cuts and infections. Does Aloe Vera Help Razor Burns? Aloe vera absolutely helps razor burn, especially in its natural form. All one has to do is clip a little bit of the leaf and squeeze the gel from within. 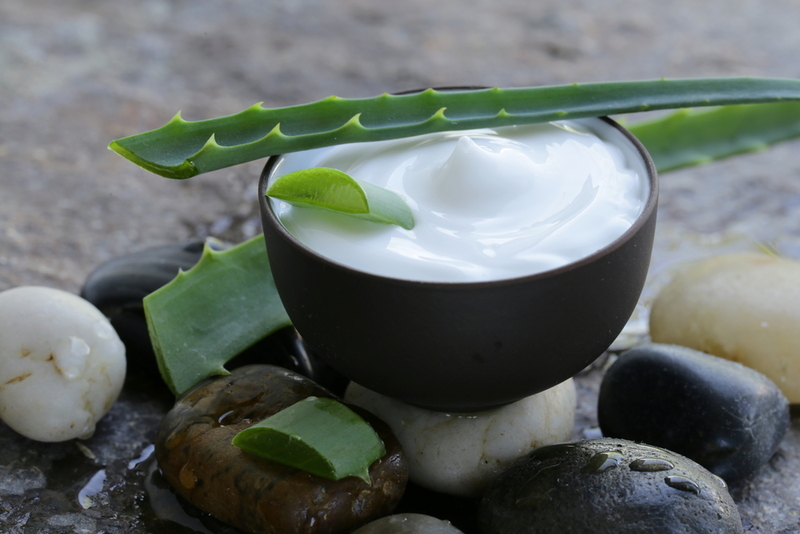 There are a lot of products that include aloe, such as gels, lotions, and even baby products. Keep an eye on the ingredients, however, because some of them might have fragrances or other additives that won’t help your razor burns and bumps. Is There Anything Else in My Pantry To Soothe Skin Irritation? Your pantry is a veritable medicine cabinet for a lot of natural home remedies, full of all sorts of wonders for your skin. In fact, these foods are good for your skin even when you don’t have razor burns and bumps! Cucumber: this one may come from the fridge, but it has properties which cool the burning sensation. Honey: since honey has medicinal properties, it soothes the irritation by addressing the causes. Oatmeal: plain oatmeal is used in facials as a mask all the time, to prevent razor burns and bumps, so it makes a great treatment, too. Can Anything Else From Home Help? There are a few things that are home remedies that can help treat razor burns and blemishes. All of these are more cost effective, but may not have the same lasting effects as products designed to treat razor burns. Baking soda: This long-known antiseptic can be blotted on with a cotton ball or swab. Aspirin: Either crush aspirin pills or buy it in powdered form to apply topically and help ease the pain and itching. The anti-inflammatory properties can help with swelling and pain. Baby powder: It uses the same principles on your razor blemishes as when you apply it for diaper rash. Cold pack: Nothing beats frozen items applied to skin irritation for a soothing, cooling feeling. Wrap regular ice in a thin towel or use another item, such as meat or a bag of vegetables, applied to the affected area. Sometimes, however, home remedies are simply not enough to treat razor burns. Fortunately, there are products available guaranteed to help with painful, irritating razor burns. Whether you order right here from this site, from Amazon, or pick up from your local Walmart, getting the right product to treat your razor burns when all else fails can be the difference between quick relief or prolonged, sustained discomfort. Check out our razor burn products today! Ingrown hairs are hairs that have either become trapped underneath the skin or have grown back into the skin following hair removal by shaving or waxing. Once trapped underneath the skin, the ingrown hair can lead to soreness, redness, and inflammation. Although common and seemingly innocent, ingrown hairs can harbor many hidden dangers. If left untreated, ingrown hairs can lead to infections which can quickly turn into a nightmare situation. Infections can lead to major health concerns that could result in a trip the hospital. In fact, there are some people who have almost died from infected ingrown hairs. Cellulitis is a condition that occurs when bacteria penetrates the deeper layers of the skin and underlying tissue areas. There are many types of bacteria that are already present on the outer layer of skin. These are usually harmless, however, if they have an opportunity to enter the body through an open sore such as a recently removed ingrown hair, the skin could become infected. While cellulitis typically affects the legs, it can appear on any part of the body. Symptoms of cellulitis include visible redness, swelling, and inflammation. The infected area may also be warm to the touch and it may be tender. Some people may experience fever, chills, and even blisters. An ingrown hair that has become infected with cellulitis can lead to pain and discomfort if it is not treated right away. It is best to seek medical treatment if any of these symptoms appear. A doctor can prescribe antibiotics to remedy this condition which can take anywhere from 5-14 days to completely heal. A serious infection that can result from ingrown hairs is folliculitis. Each hair on your body grows out of its own follicle. Shaving, or other grooming activities that irritate the follicles can result in ingrown hairs which further exacerbate the development of folliculitis. When ingrown hairs are present, bacteria can enter the site, causing inflammation and infection. Ingrown hairs may injure the hair follicle, increasing the likelihood of an infection. By appearance, folliculitis looks like a red bump or pimple that is filled with pus or blood. The infection may also itch or burn. Folliculitis may be superficial or could go much deeper into the skin. Folliculitis can even spread to other surrounding hair follicles even if an ingrown hair is not present at those sites. A doctor can properly diagnose folliculitis by drawing a sample of the fluid from the infected area. If folliculitis is confirmed, your doctor may recommend putting a halt on grooming activities until the site has properly healed. While most folliculitis will clear up on its own within a week or two, sometimes antibiotics are necessary. If redness, swelling or pain continue or if fever exceeds 101 degrees, contact a physician immediately for further treatment options. Staphylococcus, also known simply as staph, is a bacterial infection that affects the skin. Many healthy people carry this bacteria on the outer layer of their skin without issue. However, when the skin is damaged, this bacteria can quickly enter it and cause a life-threatening infection. An opening like a cut from shaving or even from plucking out an ingrown hair, if left untreated, can lead to a staph infection. The infected site will turn into a pus-filled cyst or abscess that will continue to grow until it is drained, even to the size of a baseball in many severe instances. These painful infection sites can lead to even more severe infections. If drainage of the site is not done in enough time, the staph infection could lead to a more serious condition known as sepsis. Sepsis is an infection that goes into the bloodstream. Naturally, the body will release chemicals to fight off any infection. Sepsis will occur when these chemicals lead to inflammation in various other parts of the body. This could ultimately lead to failure of multiple organs and even death. The good news is that if staph is caught early on and the abscess has been properly drained, antibiotics can be administered to treat and cure the infection. Prior to shaving, always wash the area with warm water and a mild cleanser. Next, properly lubricate the skin and hair with a gel or cream so that both are properly moisturized. Never use old, dull razor blades to shave the skin and replace blades often for the smoothest shave. As long as you follow proper hygiene and safe hair removal techniques, you should be able to significantly lower your chances of developing ingrown hairs. Seek medical treatment immediately if any of the following occur: fever, swelling, redness, pain, chills or raw open sores at the site of the ingrown hair. A doctor can not only safely remove the ingrown hair, but they can properly identify the infection and prescribe the appropriate antibiotics to heal the affected area. It’s better to be safe than sorry; so if you have any question that an infection has gotten out of hand, please seek treatment. 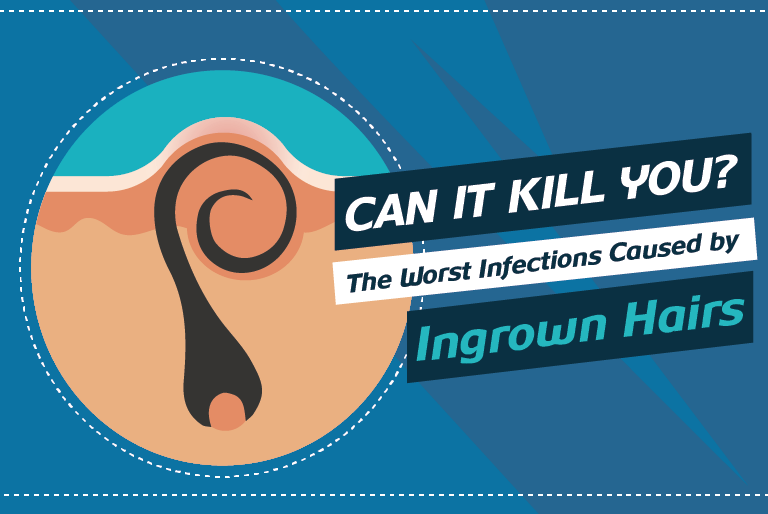 These are just some of the dangers of ingrown hairs. For the safest health outcomes, never ignore the warning signs of a potentially infected ingrown hair. Infections caused by ingrown hairs can spread to other areas of the body and can lead to serious complications if left unchecked.